Who doesn't love a 3-day weekend? Especially when I end my weekend in Boston, by myself, running a fabulous race. I think it's a perfect ending to a weekend. 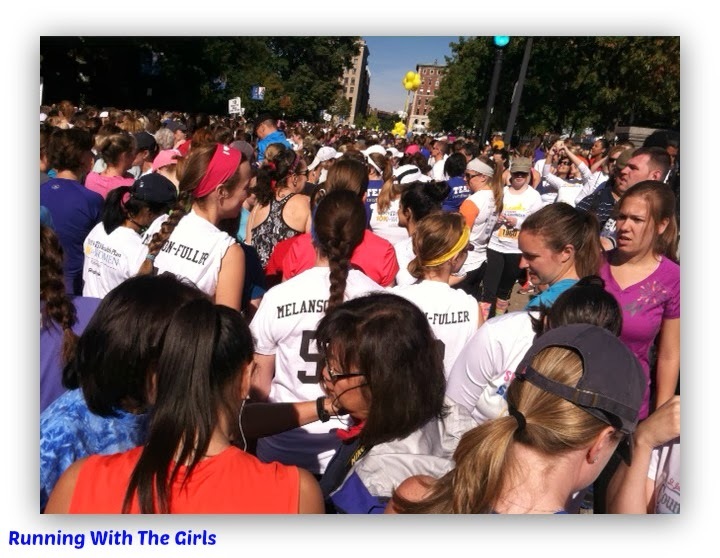 On Monday I ran the Tufts Health Plan 10k for Women as part of Team Reebok through FitFluential. This was my second year being selected to run on Team Reebok through FitFluential and each year only gets better. This year, Reebok sent me even more fabulous gear to train in, which included the Reebok One Cushion. As I mentioned before, I was a bit nervous to try out the Reebok One. I normally wear men's shoes due to my wide feet. To my surprise, the Reebok One's fit perfectly! I've said this time and time again, I am shocked and amazed at how awesome these shoes are. The Reebok One Series shoes have a 3 phases to their zoned cushioning designed to maximize performance and comfort in each phase of the gait cycle. These shoes are a perfect mix of cushioning and rebounding foam that assist in shock absorption, breathable mesh, lightweight, while also providing enough support and stability. I love these shoes! Back to the race. I went to Boston solo on Monday. My first time ever. I was a bit nervous about traveling there alone but excited. I do love my family and I especially love seeing them cheering me on and then afterwards. They are the best supporters ever. So it did feel a little weird being there without them. But at the same time, I felt less stressed. I have to admit. I am not very good at driving in cities. Being a Maine girl, I don't have a lot of experience with that. I got to the subway station without issues and made it to Boston Commons on time! 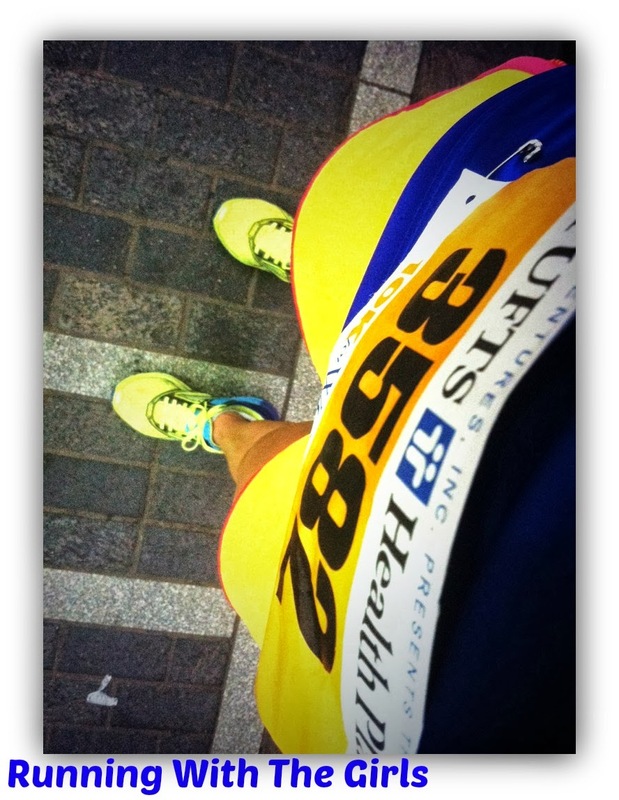 I picked up my bib # and race packet and headed directly to the Reebok tent. 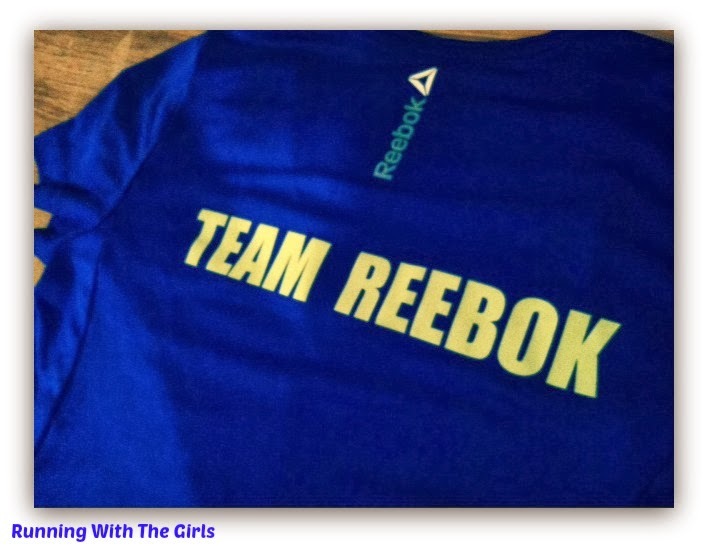 I was warmly greeted by the Reebok team and was given my race shirt. It fit perfectly and has quickly become a favorite of mine. I love how it's longer than most shirts I own and the color blue is amazing. I had some time to walk around the commons and check out the other vendors. Most of the vendor lines were quite long and I didn't feel like waiting, so I ended up bypassing quite a few. However, I did make it to the Nuun tent for some samples and the Olivia's tent. 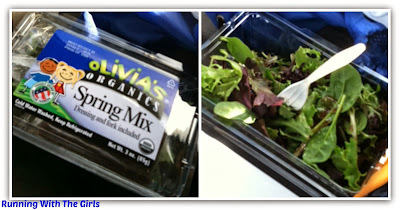 I was quite happy to see Olivia's giving out small salads. I definitely took a sample, put it in my bag, knowing it was going to make a great post race lunch for the ride home. After a bit, I checked my bag and met up with Becki. Shortly after that, Liana joined us and we had our photo op with the very talented, Olympian Carrie Tollefson. After the team photo, I headed over to the starting area. I waited a bit too long to get myself over there, because I definitely wasn't able to seed myself at all. I really just wanted to focus on my form, run a respectable race, smile the entire time and run it pain free. Approximately 4 minutes after the race officially started, I made my way to the starting line. It was quite crowed, of course! There were over 6,000 other racers. Trying to find a pace was rather difficult because as soon as I got my groove going, I had to stop, swerve, and dodge walkers. That part may have been a little frustrating at times because I was not seeded in the walking part at all. Not sure why racers who walk so early in a race would seed themselves in a 9 minute mile category? After the first two miles of dodging people and a pace above 9 minute miles, the crowd began to thin out a bit and I was able to find a groove. Somewhat. Somewhere in the first two miles, I did see a dad and two little kids on the side. I started to miss my family and then the dad yelled to the little boy "Tucker, come back here." That definitely made me miss my own Tucker and Isabella even more. From this point I just focused on form and running easy. Somehow I pulled out paces that ranged from 8:20 - 8:35. Which shocked the heck out of me since I haven't been able to do those kind of paces for the past two months. 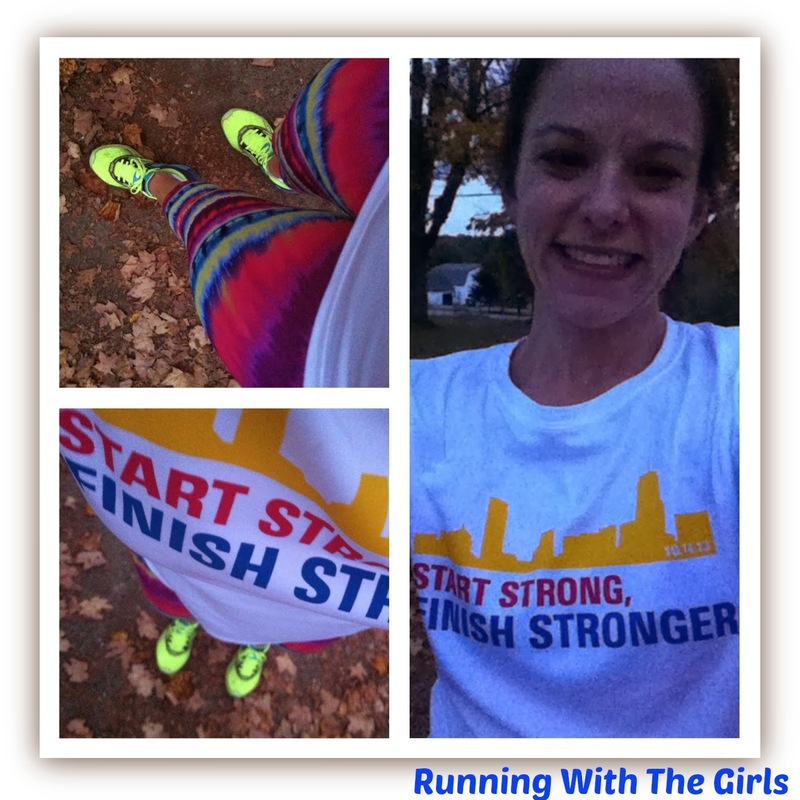 However, those paces definitely felt comfortable and gave me a sense of accomplishment. I spent a lot of the last 4 miles running up on the sidewalk, on the grass, wherever I could go to get away from the crowd. I am not accustomed to running larger races like this and really struggled with the stop and go. Remember, I am a Maine girl and our races are a lot smaller! As I rounded the corned to the finish line, I was quite happy to see the overall clock read 58ish minutes (but remember, I started about 4 minutes after the start...thank goodness for chip timing! ), so I made a mad dash to the end and completed this race with an official time of 54:34 and a high five from Joan Benoit Samuelson. My idol. I wanted to hug her, but I thought better of it. After walking through the finish, I grabbed a couple of water bottles, Luna Bars, and a banana and headed to the bag check. I snapped a quick picture of me to show my look of pure happiness and then headed off to the subway. And then while waiting for the subway, I had to take a picture of those shoes again. Damn they are that awesome! Thank you, Reebok! After successfully making it back to my car and making it back to the highway without getting lost, I rewarded myself by opening that Olivia's salad. Not the greatest driving meal ever, but still delicious. The Tufts 10k was my first real race since the Sugarloaf Marathon last May. I was so nervous going into this as I didn't want to re-injure myself. I'd call my return to racing a success. Now I have the racing bug back and I have a new goal in mind. 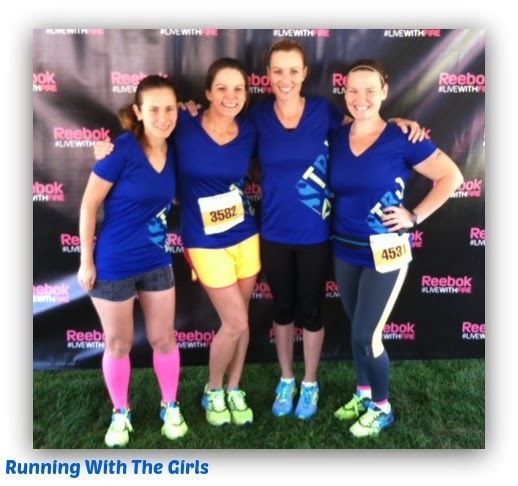 After the MDI Marathon Relay this weekend with my girls, I will refocus on some speed. I've got a new goal in mind. Disclaimer: Reebok sponsored my race entry and provided me with clothing and Reebok One shoes thanks to my FitFluential Ambassadorship. Yay! What's the goal?!? The suspense! Sub-20 5k? Excellent job! 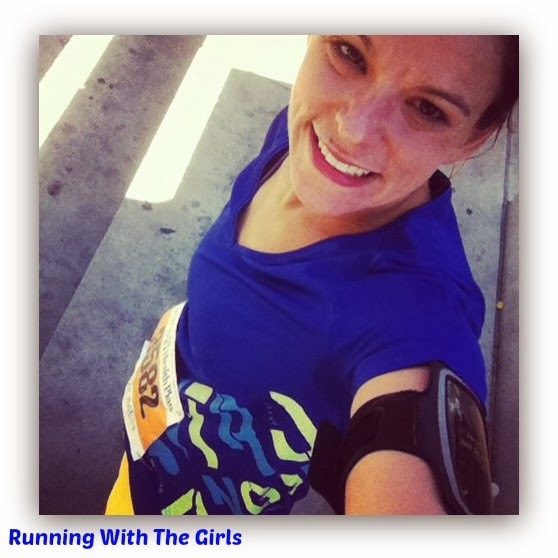 I love this recap because I can tell your joy of running this race AND you got to meet Carrie Tollefson! That is so awesome! Maria @ The Good Life! Awesome job! I'm so glad you enjoyed yourself and that the experience was a great one :) Love the shoes, and your spandex in that last photo!